CRN is delighted to list our honorary Members who have given years of dedication, expertise, advice and leadership to CRN globally: They are Ms Carmel Doherty, Ms Richella Ni Dhochartaigh, Mr Brian Cleary and Ms Catherine McCaffrey. Since its formation CRN has encouraged an open platform for all dancers and provides an organisation that gives a voice to young teachers, most importantly it provides a stage where every dancer can perform in a competitive but friendly environment. CRN is governed by an Executive Committee who is elected by our members to uphold our Constitution. All our Feile and Feiseanna are run under our Rules of Competition. Ita Cadwell had a vision of an organisation that would grow worldwide, an organisation that would promote an open platform to all dancers in the hope that this organisation, while encouraging choreography of new work, would still maintain our traditions. This is now being realised. CRN has expanded throughout Ireland and is now quite a force to be reckoned with throughout the World, with teachers and adjudicators based in England, Scotland, Wales, Holland, Belgium, USA and Australia. 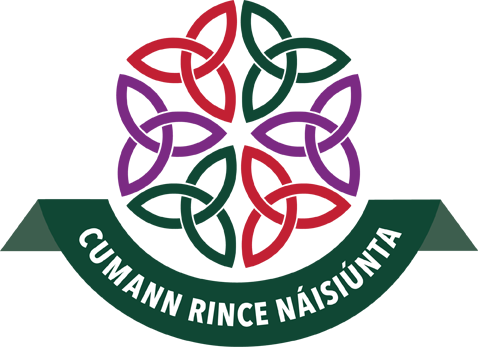 In 2012 Cumann Rince Náisiúnta celebrated its 30th anniversary and launched the CRN Worlds Craobhacha Oscailte na Cruinne. CRN’s very first World Championships took place in the very prestigious world renowned Wexford Opera House. This has now become an annual event at various locations throughout the country. CRN's Major Championships events on our yearly calendar are the Irish Open Championships, the North American Open Championships and the World Open Championships. Regional Championships also take place as a qualifier for these events. If you would like to take part in any of our Feiseanna please check out our Calendar of Events or if you require a copy of our Rules of Competition please contact us.